If you’re like most people, you've likely experienced moments of feeling deeply connected to the Divine, and at other times you've felt completely separate and alone. You've also probably heard of people who have spontaneously stepped into an enlightened state by just sitting on a park bench or attending a weekend seminar. This may come as a surprise to you, but you already ARE directly connected to the Divine in each and every moment. The Truth of who you are authentically is that you are one with Divine Creative Source Energy. But if this is really True… Why don't you feel connected to the Divine at all times? How can you shift into experiencing this Divine connection? And how can you trigger Divine blessings in your personal experience and in the lives of those you care about? But there is a more direct route. There is a way to shift into a Deeper Relationship with The Divine, right now… In this very moment. This fast track to a deeper relationship with The Divine is what the angels just delivered in this new Angel Course. By simply listening to this channeled course you will experience Truth on every level so you can effortlessly deepen your relationship with the Divine and uncover your Ultimate Truth. This course is incredibly powerful and it's truly unique when compared to anything I've channeled before. The beautiful thing is that your angels, guides, and The Divine do all the work for you, so you can gain full benefit from the course as you relax and listen… It even works if you fall asleep while listening! Plus! …I almost forgot to mention that if you click and order this course now, you will gain instant access to a BONUS .MP3 Angel Message with Archangel Zadkiel which I channeled for the Full Moon which is the perfect compliment to this new course, and an $11 value, for free! Not only are you receiving the $67 Angel Course, but you also receive the $11 Full Moon meditation at no additional charge. That's $78 in Value for only $67. Deepening Your Relationship With The Divine .MP3 Angel Course! Included in this course, with the special Full Moon bonus are 4 brand new channeled angel messages, each mixed down to the beautiful music channeled by Thaddeus. Combined, these .mp3 audio tracks create a true ‘Divine Experience' unlike anything else available. Lets look at each of the Angel Tracks you will receive with this course. #1 – Experience Divine Perspective with Archangel Metatron : 14 minutes 48 seconds. This experience with Archangel Metatron will not only cleanse and uplift your energy as you listen, but you will be enlightened to a new perspective about Divine energy and how it works and flows throughout your life. This understanding gets translated into a unique experience where Metatron helps you to personally experience The Divine Perspective in your life. As you experience this Divine Perspective, you are able to understand more fully your role and your connection with The Divine, allowing you to tap into The Divine energies that you are a part of, more readily and easily in your every-day life. #2 – Oneness, Your Ultimate Truth – Council of Light : 18 minutes 43 seconds. A powerful follow up goes beyond the perspective of The Divine in your life and allows you to experience and understand Your Ultimate Truth, which is the fact that you are one with The Divine and with all that is. Other messages have explained this truth but this message goes beyond into helping you have an experience with this Ultimate Truth. All you have to do is listen and you are led to this uplifting, energizing and enlightening experience of Truth. Spirit Guide Orion delivers an impacting and powerful experience of amplifying and illuminating your divine essence. 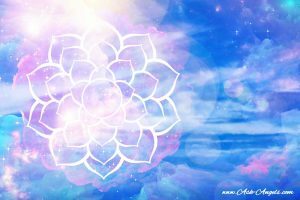 Taking the understanding and experience of your Divine Truth from the previous messages and turning up the frequency and vibration even higher, you may experience new levels of light energy and vibration in your life during this channeled experience. The message Orion delivers during the experience is also very insightful and provocative to help your mind fully understand what your Divine Essence is and how integral you are to the divine experience that is unfolding in our world, and throughout the cosmos. This message was the logical bonus for this angel course because it continued the process of Divine Light Work to help you not only fill yourself up with divine light, but to help you flow that divine light out to the world. As you increase your light energy and your vibration, you are able to more full help others in your life and to help all of humanity as a whole, by simply carrying and shining your light. Simply Relax and Listen… It's Effortless! Get comfortable, press play and you will be taken on this uplifting journey to deepen your relationship with The Divine. In total, this angel course includes more than an hour of high quality channeled angel messages, all mixed to beautiful channeled music, creating the most powerful course I've ever published. It is so powerful that I personally guarantee you will love it… If for some reason you don't, I'll refund 100% of your money. Ready to get started with this course? Click here and get your copy, now. Remember that you have a 100%, no-questions-asked money back guarantee when you order now. I'm so sure you're going to love the course and experience your direct connection with The Divine that I'm willing to take on all of the risk. If you don't love it, email me at support(at)ask-angels.com and request a full refund… I'll send your money back and you can keep the course! After you complete the transaction through a secure payment server, you will gain instant access to your downloads. I know you are going to love this course and I'm excited for you to experience your Divine Truth in this series of new .mp3 angel messages! Thank you Melanie for your wonderful gifts and emails. I am a 61 year old women in transition and struggling with so many things in this world. Listening to your free messages helps. And my hope that soon positive outcomes will manifest in my life. It has been so long since I’ve felt good. Since Summer Solstice my life is in upheaval and getting grounded financially, moving,so much going on that the contrast is overwhelming. I am also attracted to much you have to offer and look forward to when I can afford more of what you offer. Just want to say thank-you once again to Melionie and the Divine Angels if you are not aware the written message that is attached to the meditation is not accurate to the words channeled love+light from Maryb??? Thank You .Yes Looking To Be In Contact with the divine .well the full contact because I feel something.Thanks for all your help. Dear Melanie, I did experience few time this special connection with my Angle. very scurry. I try to clean my mind in the fitness center or walking on the sea shore, hope that soon I will have a job and will be able to purchase your class. Melanie, it is very nice to hear your channeling, I’m sure I’ll be able in the near future to get this course. It’s kind of hard for me to believe that people can really do that, but with you I feel peace and that is a good signal. Thank you very much for such a nice job, I’m glad I have subscribed to this site, it’s been an amazing experience. That course sounds great but I can not afford it. Thank you , Melanie . I have to say I am very privileged that I already have close contact with the divine. I used to have writing, but now I see words and symbols. My late partner and parents as well as angels are with me. 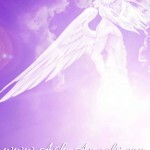 I do healing and have wonderful help from the angels and divine. I find it always very Moving when in full contact, such as just conversing and listening. My friends think I’m having a one way conversation haha! It is so uplifting and glorious. Thank you for all your help. But I find it’s the simplest thing in life for me.